I'm just going to jump into this one bluntly. Norway Pavilion has been a thorn in my side all week. At first, I was cursing an emergence of writer's block. Then, I moved on to mentally flogging myself for getting so wrapped up in my latest distraction ("CSI: NY") that I ignored all sense of duty and responsibility. It is surprisingly challenging to focus on Vikings and trolls when you're scrambling to understand ballistics and DNA... but frankly, I don't think writer's block or CSI are to blame this time. 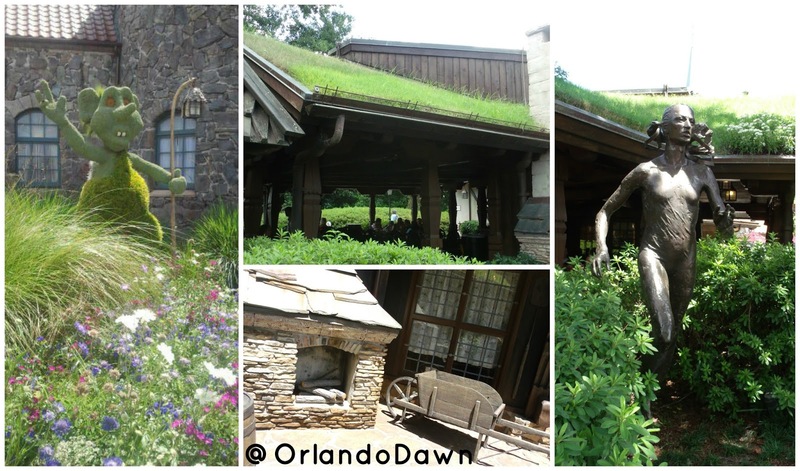 After much contemplation, I think the problem is simple - Norway Pavilion is lacking. 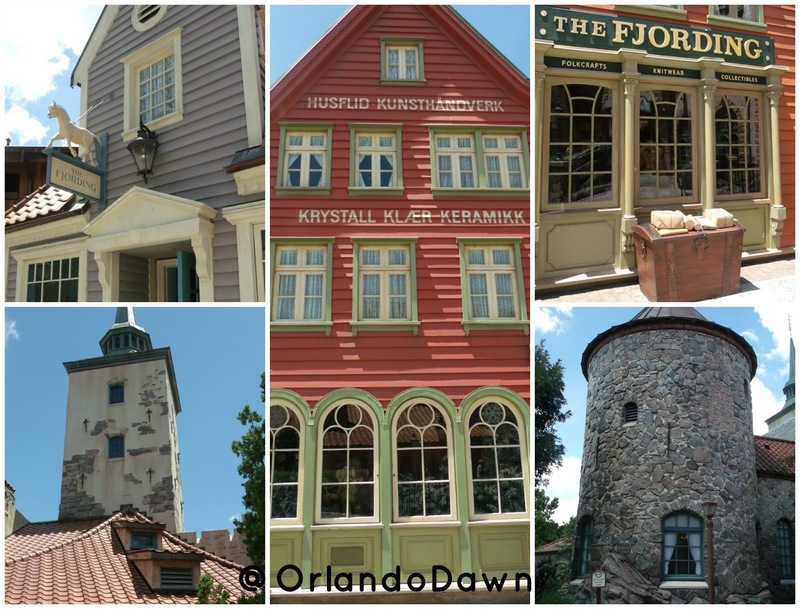 I try to keep a certain organizational pattern to blog entries that have some connection - like the World Showcase entries, for example. While working on my content, it hit me... Norway is missing what many of the other pavilions offer, and it really is apparent. Don't get me wrong - I do enjoy this area, but it absolutely needs just a bit more "something" to complete it. Of course, as I write this, news has been breaking about upcoming changes at Epcot. None of these seem to include a new addition to Norway, however. In fact, the announcement centers on the removal of beloved performance acts throughout World Showcase to make room for new entertainment. To read more on these changes, click here. 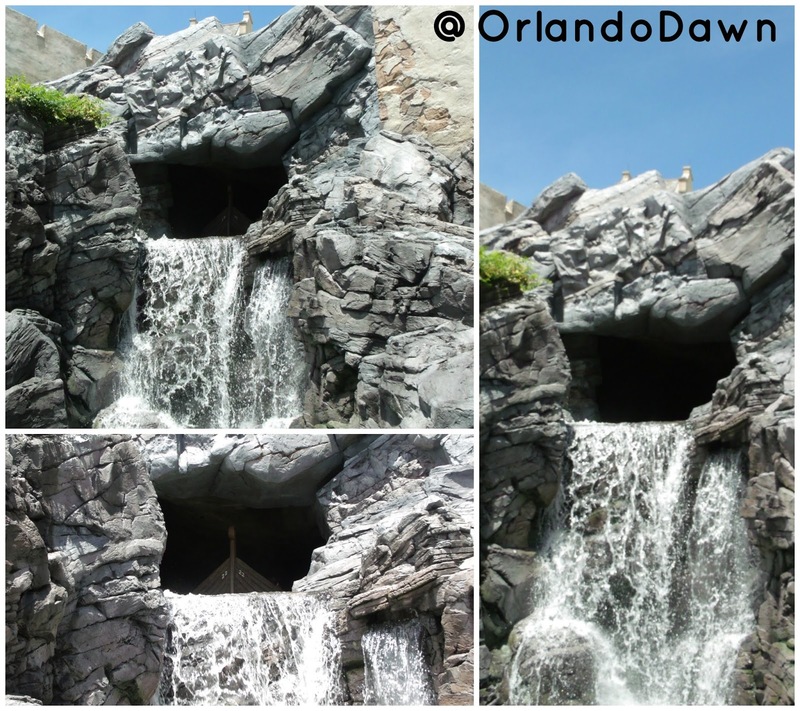 Then there's that nagging rumor that Norway's Maelstrom ride will soon see a "Frozen" themed makeover. I'm going to take the high road here and replace my verbose glaring objections with a polite and simple "nei takk" (Norwegian for "no, thanks"). I still truly wish Disney would let it go already. My frostbite is getting frostbite. This pattern of remodeling "refurbishment" irks me enough before we even get to the "Frozen" aspect. One thing that Norway Pavilion does have to brag about is architecture. A stark contrast to its neighboring pavilions of Mexico and China, Norway blends a more subtle, old-world charm of four traditional styles of Norwegian architecture into the area's unique atmosphere. The newest pavilion addition to World Showcase, Norway debuted in May of 1988. Rough woods and jagged stones incorporate flawlessly with lush pastures, to recreate an authentic Norwegian village - highlighted by an intricate replica of the Gol (stave church) in Oslo. 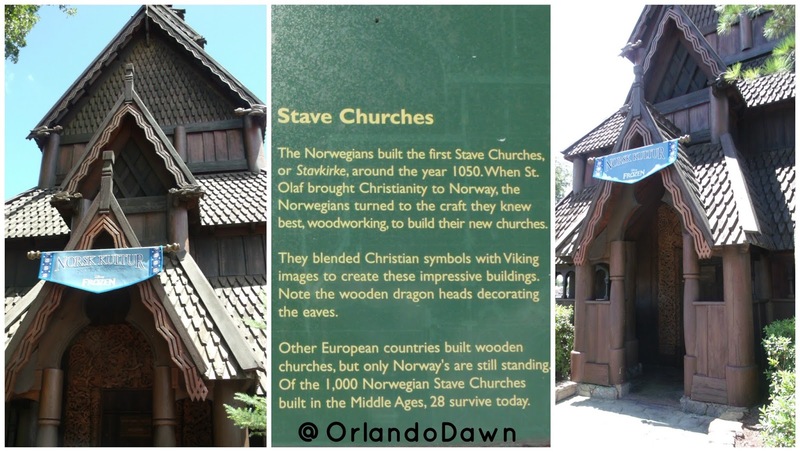 The Stave Church previously housed an exhibit on Vikings, which has since been replaced by Norsk Kultur: Inspiration For Disney's 'Frozen'. This exhibit showcases animation stills from the film alongside samples of representative artifacts, drawing parallels in authenticity. 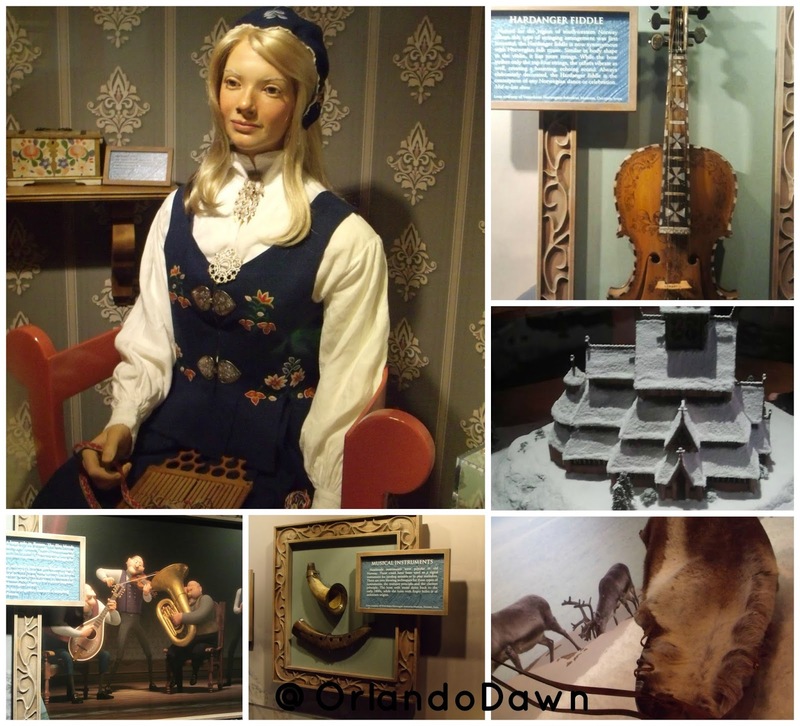 The drawback to the exhibit coincides with the popularity of "Frozen" - the interior of the Stave Church is very small and not at all conducive to the heavy traffic that goes along with everything Anna and Elsa. Personally, I have a much greater appreciation for the exterior of the Stave Church... but that's just me. Now, on to Maelstrom... as of yet, "unfrozen". I don't need to seek out eloquent phrases to sum it up... it's just good ol', genuine fun. No, it's not an epic thrill ride, but it is more entertaining than the Disney-standard, slow-boat ride. Board a 16 passenger, 10th century, Viking-style longboat for your journey through the villages, swampy forests, and fjords of Norway. Along the way, you'll encounter polar bears, and even fall under the curse of pesky trolls who hope to make you "disappear" in a surprising twist near ride's end. There is a drop in the ride track, but keep in mind - there are no height restrictions or restraints. While I have seen some share dramatic warnings about the scary elements of Maelstrom, I firmly believe this would only pose a problem to a very small number of guests. Use your judgment, and ask Cast Members for clarification if you are concerned. This has been one of my daughter's favorites since she was a toddler, and she is scared of more than I care to admit. Take that into consideration. Another reason to love Maelstrom... rarely more than a 5-10 minute wait to ride. The ride exits into a theater showing a film about Norway on constant rotation. While many seem to stroll by without pause, this is worthy of a watch. A little cultural appreciation never hurt! The Puffin's Roost is your one-stop shop for everything Norway. 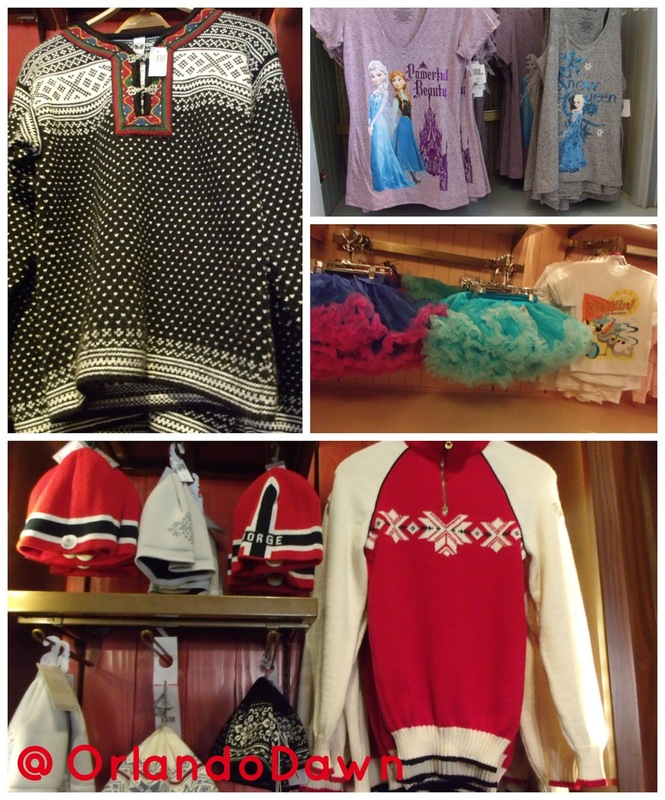 I have discovered that I am much bigger fan of this shop since they removed the overwhelmingly suffocating room of perfume to accommodate the since-removed Anna and Elsa meet and greet. If the powers that be hear none of my other pleas, I beg of you... keep the perfume wherever you relocated it to! Anyone with asthma/allergy sensitivities completely understands me right now. Otherwise, Puffin's Roost is a fantastic little shop with a wide range of unique souvenirs. 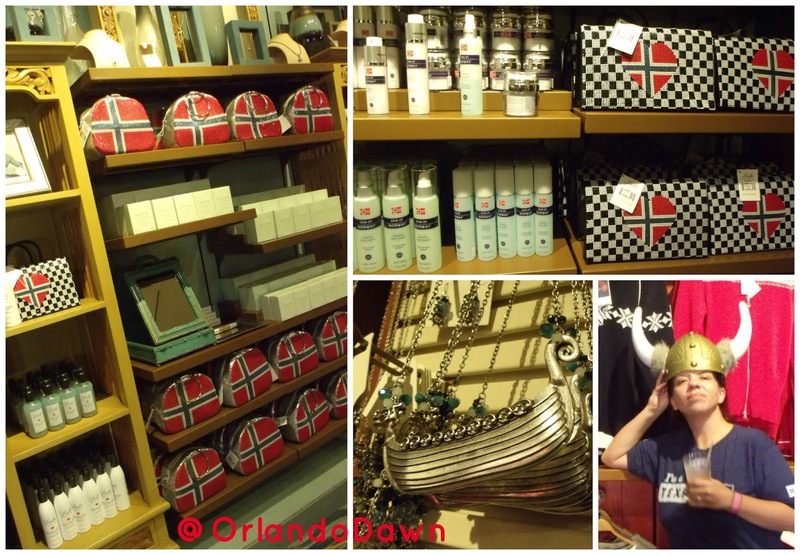 Among other items, they carry: high-end apparel, and souvenir style t-shirts, jewelry and accessories, lotions and beauty supplies, stuffed animals, native Norwegian snacks and treats, books, and my favorite - TROLLS! 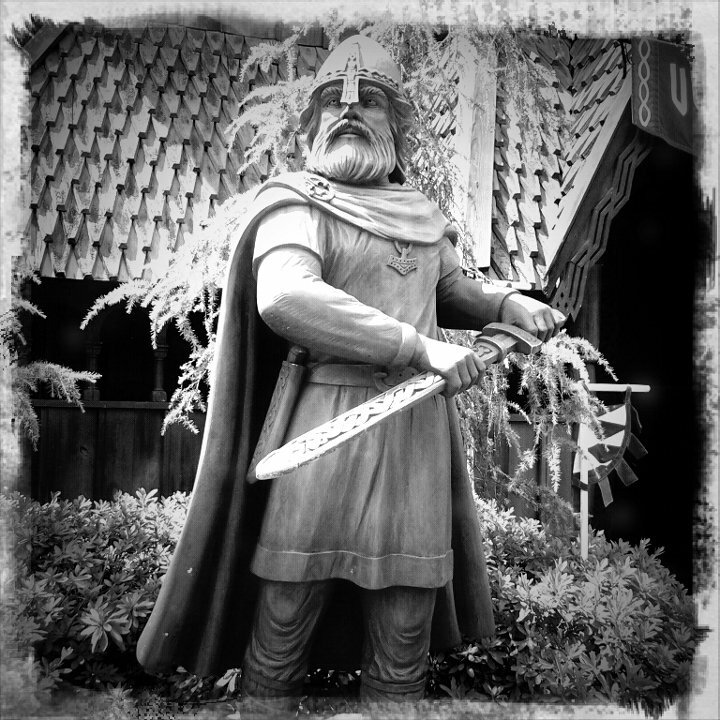 Trolls have a very firm rooting in Norwegian history and lore. Tributes are paid to the "so ugly they're cute" mythical creatures in every shape, size, and sort. 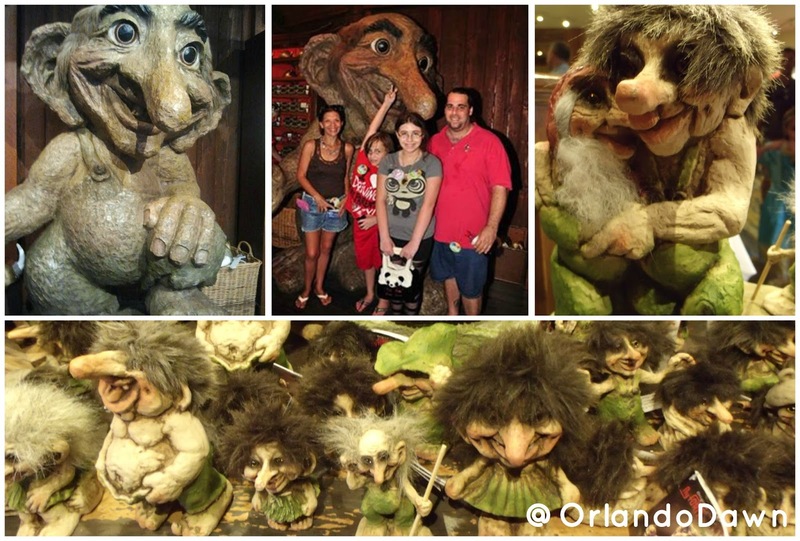 Of course, you have to stop for a quick pic with the resident giant troll as well. Much like Mexico's sombrero, I highly recommend the Viking helmet. I suppose I have a thing for headwear. I won't try to sugar-coat my experience with the food in Norway. Besides, I'm sure I have a family member or two who would love to call me out if I fail to maintain complete transparency here. 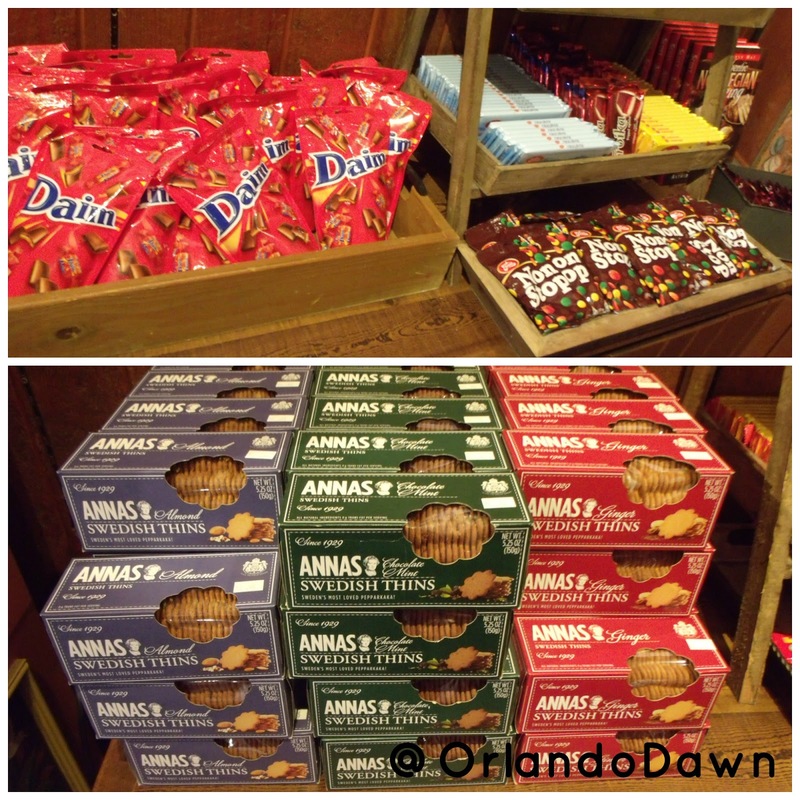 I have eaten at Norway's signature restaurant, Akershus, but I can't quite say my experience was a good one. On the flip side, I'm willing to admit that it was my own hangup that caused this to go so afoul. 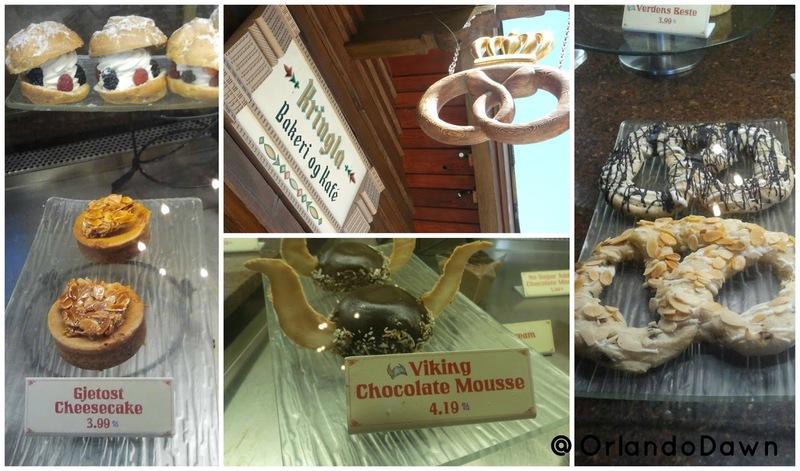 My visit to Akershus came at a time when I had not yet found a desire to be adventurous in my culinary exploits. Alright... I was kind of stuck in a burger rut. I also have a massive soft spot for "Bambi". So far, I know I'm not making much sense... bear with me. I loved the environment of Akershus - it is a beautiful establishment. It is also home to all-day Princess dining, which means... combinations of Disney Princesses make the rounds throughout the dining room to greet guests. You also receive a private photo session with a representative Princess upon arrival. A nice touch - yes, and we were very content with our regal hostesses. From there, it just went badly. I could find nothing on the menu I could even consider consuming - especially not at the prices posted. Then, it happened... I saw that they were serving venison. I understand this is not at all uncommon, but I just felt immediately disgusted with the thought of eating Bambi on Disney property. Couple this with the haughty prices they asked for the photos they later dangled in our faces, and I was just disgruntled. 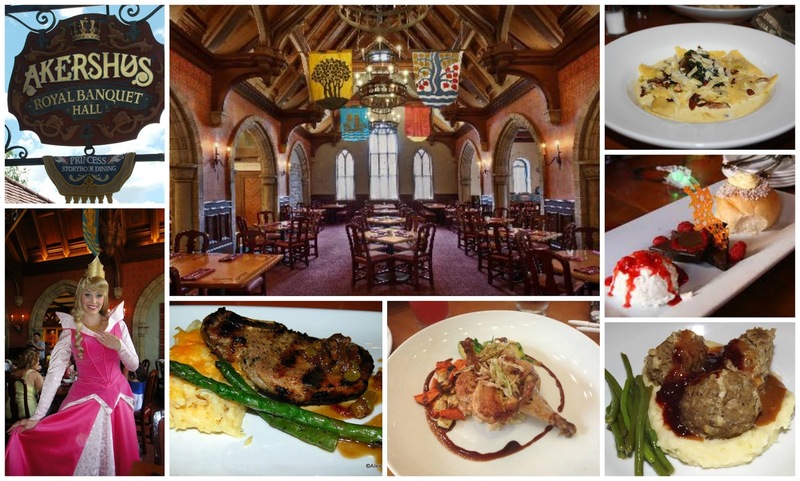 Akershus has changed their menu extensively since my previous visit, and I am more than willing to give it another chance - with a more mature and open mind. They offer breakfast, lunch and dinner service. Yes, prices are on the higher end ($30-$60 per person), but this is not uncommon for a character dining experience. Breakfast is all-you-can-eat, and the lunch and dinner menus include a diverse line of specialty drinks and wine selections. They have also (wisely) started offering the souvenir photos complimentary as a part of your dinner package. Reservations are highly advisable, if not necessary. One thing that even I can't turn my nose up to is a bakery. Kringla Bakeri og Kafe could stand to be a touch larger, but they really do cram maximum "yum" into this little gem. Menu items include pastries, sweet pretzels, sandwiches, lefse flatbread, cookies, waffles, and more. Items generally priced $4-$9, and this is a counter service establishment. Aside from the character dining, Norway does not have resident character greetings. There are also currently no performance acts stationed in Norway. This returns to my point at the onset of this post... missed opportunities? I will give solid praise to Norway's contribution to Holidays Around the World. Lively storyteller Sigrid, shares tales and traditions related to Christmas in the Land of the Midnight Sun. 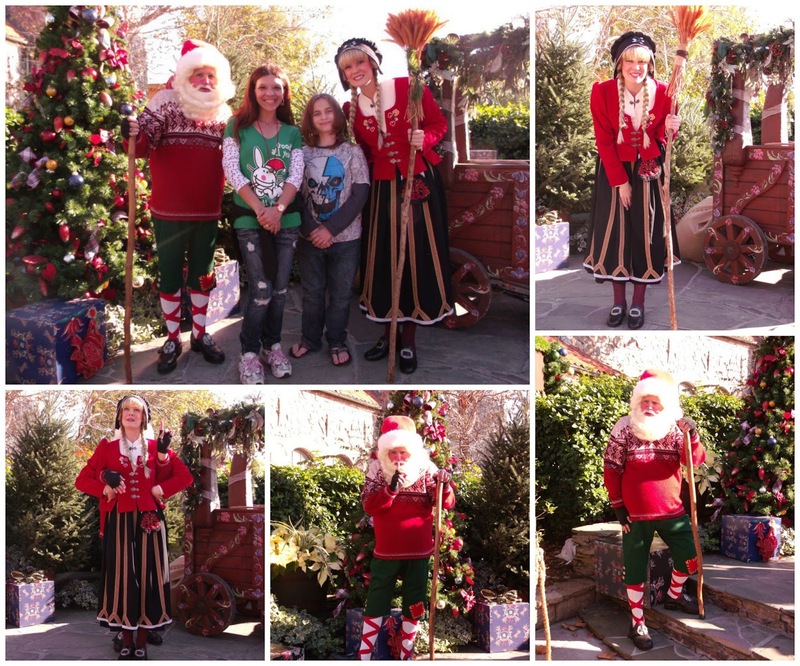 During her presentation, you're sure to meet the mischievous gnome, Julenissen. I cannot tell you how absolutely necessary this performance is. Time and again, I've noted larger crowds here than at any other holiday presentation in World Showcase, and everyone seems more than thoroughly amused with the show. The KIDCOT station in Norway is in The Puffin's Roost. What is KIDCOT? Click here. Don't forget to get your Epcot passport stamped here as well! The national drink is aquavit. The national dish is Fårikål. The official languages of Norway are Norwegian, Nynorsk, and Bokmål. Norway's capital, Oslo, is also its largest city. "Hello" in Norwegian is "hallo". "Norway" means "path to the north".